Magic Flight of two lovers from a ghoul, except here the girl doesn't forget about her lover, but rather goes a donkey head on the way home. Brownie points to the ghoul, he eventually regrets his curse, and sends the girl a gift that changes her back. Classic trickster tale with evergreen motifs such as getting out of a bag by switching places with a dupe, or getting away with stealing a bunch of sheep. 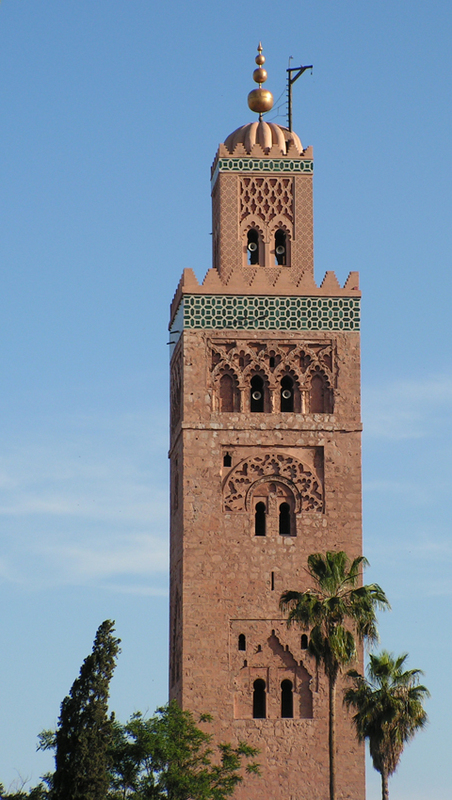 Si'Djeha is a popular North African trickster figure. A poor man believes that God will provide for him even if he stays in bed all day - and he is right, because through a series of accidental events he does end up with a whole pile of gold, without ever leaving his house. Puss in Boots crossed with a murder mystery. A beggar girl runs away from her abusive mother, and marries the king, lying about her parentage. The mother follows her, and keeps reminding her she is a beggar, until she pushes her out the window. The dead mother turns into a tree that keeps repeating the accusations, until the girl tells the king that her father has a greater palace than his. The king immediately wants to see the palace. Luckily, a helpful turtle comes along, finds a palace, and the girl's lie is never revealed. Neither is her crime, by the way. Ali Baba type tale. A poor man with a clever wife manages to rob a palace that belongs to ghawal (ghoul?) monsters. His brother becomes jealous and wants to to the same, but he doesn't follow the detailed advice, and ends up being consumed by the monsters. They return his head to his wife, though. 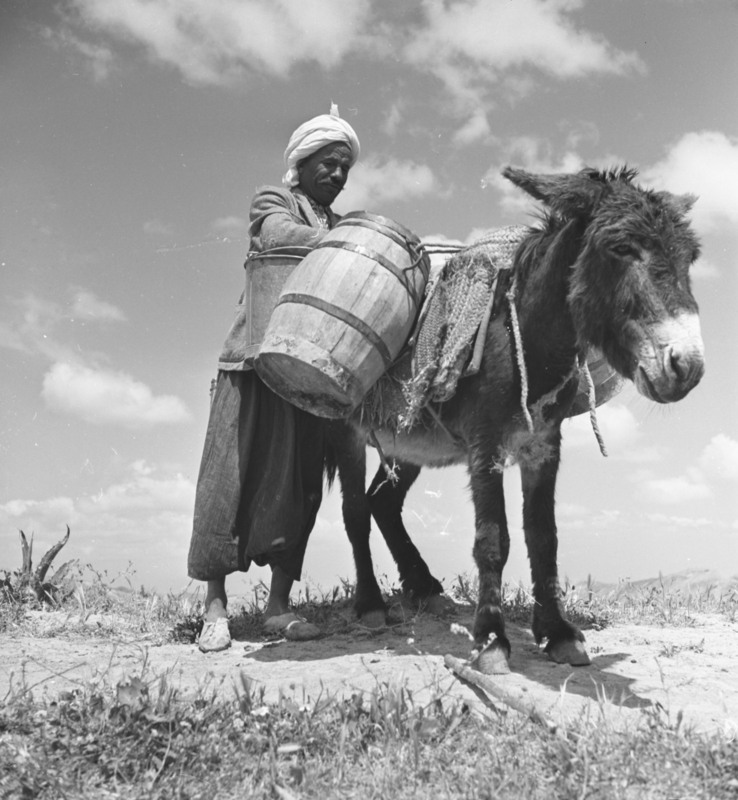 Libyan Jewish folktale. A poor boy sets out to learn a trade, so that he can marry the governor's daughter. He finds work in the devil's palace, and learns magic. When he discovers that the devil kills all his pupils, he flees. There is a shape-shifting chase scene (during which at one point the girl hides him in the form of a ring), and he eventually defeats the devil, and marries the governor's daughter. 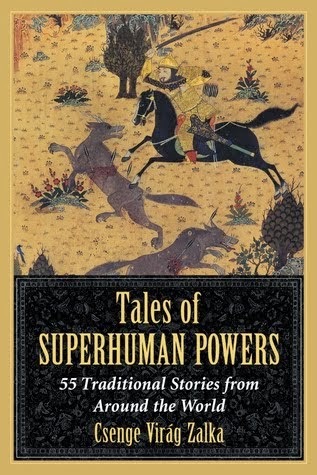 This book contains five Tunisian folktales, translated to English by a Tunisian linguist. 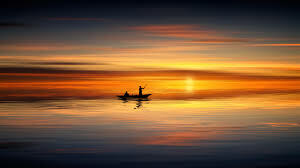 The tales come from a famous storyteller, who promoted the telling of folk stories on TV and radio in the 1960s and 70s. The English translation has some mistakes (usually around spelling and past tenses), but they don't make the stories any less enjoyable. 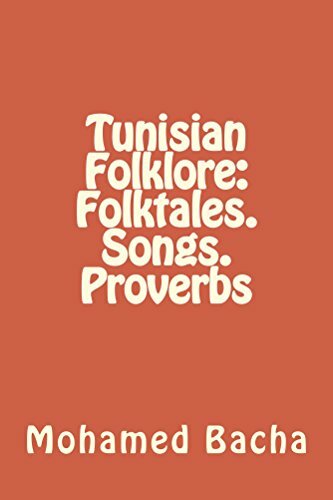 The book also contains a couple of folk songs in Tunisian Arabic and English, as well as dozens of proverbs from Tunisia, Egypt, and other Arab countries. A Valiant Little Tailor type folktale, about a skinny hero who outsmarts and defeats several dangerous ghouls. He becomes an adivsor to the king... and after the king's death, he forges his own name on the will, so he inherits the throne over the decadent prince. Pretty, and painfully realistic story. Jabra, young wife of a poor craftsman who makes musical instruments, dreams of a better life. When her husband overhears her complaining to her mother about their miserable poverty, he gets angry and divorces her. Jabra runs into the woods in shame, where she encounters Sultan, a lion who dreams of being human. They fall in love and live together, dancing, talking, swimming, and generally being a better story than Beauty and the Beast. 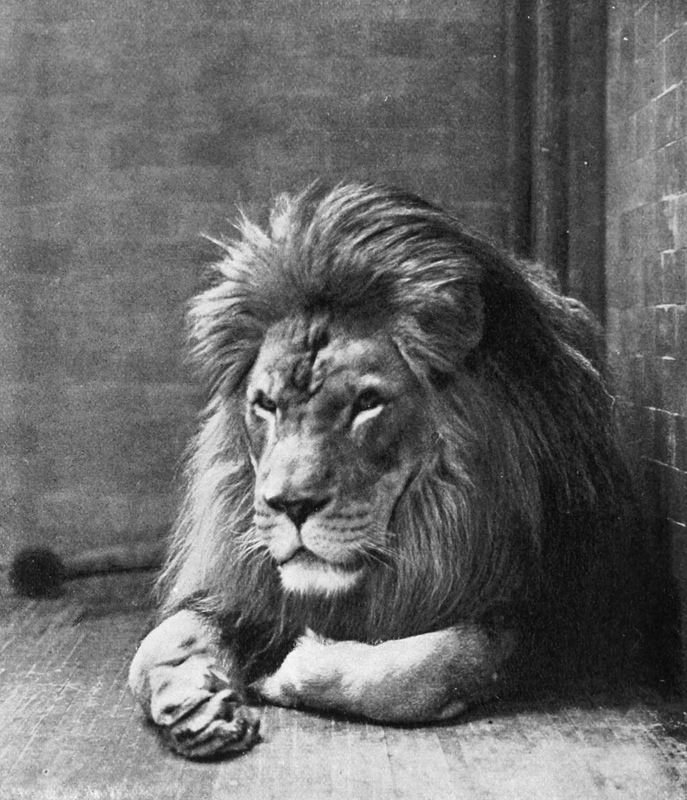 Eventually, Jabra pays her parents a visit, and spends three days praising the lion and their shared happiness. Sadly, Sultan shows up just in time to overhear her mention his one flaw: His mouth stinks. The lion grows disappointed, and divorces Jabra. The story comes with a moral: Physical wounds can heal over time, but wounds caused by words are forever. The two "muses" mentioned in the title are Good Luck and Back Luck, who take turns steering a poor man's fate through a series of accidents. Interestingly, Bad Luck eventually gets a headache from the competition and quits, whole Good Luck falls in love with the man's son. Sadly, we don't find out if their love is fulfilled or not. A woman who likes to keep her house tidy comes into conflict with the neighbor's cat, Crapsalot, who steals food from her pantry and then... well, craps a lot. She cuts off his tail as revenge, and the cat has to go through a chain story of events to prove he feels bad for his behavior, and win his tail back. An adorable story, despite the title. 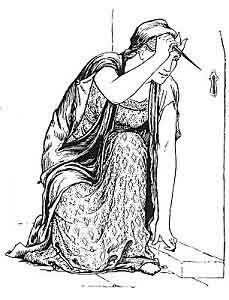 Doja, a brave and defiant woman (who drinks and smokes with the men, and once broke a bandit's nose) makes a bet than she can bring rope from the gallows at night. She cuts down a hanged man, and to her shock she finds that 1. he's alive and 2. he's the bandit whose nose she broke. She runs away, leaving the bandit alone to wander in the night. He ends up at the cemetery, where he notices the cries of a girl who, fleeing a forced marriage, had taken some medicine and was accidentally buried alive. The bandit rescues the girl, they fall in love, and escape the city together. Today is both #FolkloreThursday and Valentine's Day! I didn't want to do a plain old "love stories" theme, so I polled people on Twitter about what they wanted to read. The majority vote went to polyamory. So, here we go. First off: What is polyamory? According to the Merriam-Webster dictionary, it is "the state or practice of having more than one open romantic relationship at a time." It is about being in relationships with more than one other person at a time. You can read a lot about it from various sources, such as this article in Teen Vogue, or this video, or this webcomic on non-monogamy. Don't take my word for it, please educate yourselves. 1. 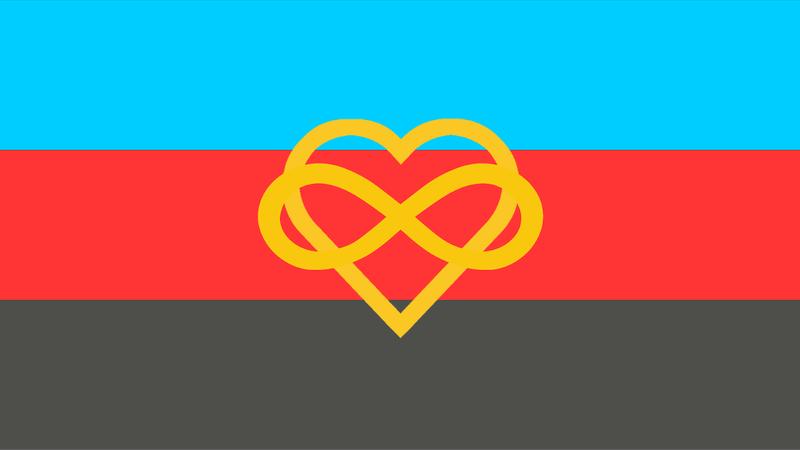 Polyamory is not polygamy. Polygamy means one person being married to multiple people (usually a husband with multiple wives) and is a cultural and legal practice where participants are not necessarily all equal. 2. Polyamory is not cheating. Someone having multiple lovers who don't know about each other is not polyamory. With this said, the following folktales might not fit the definition perfectly either. I wanted to collect them so that people can pick them up and play with them, be inspired by them, and make tales with better representation. Because oral tradition works that way. In this Celtic Snow White variant, Gold-tree is the daughter of a king and a jealous queen, Silver-tree. Since she is more beautiful, her mother wants to kill her; her father helps her escape with a prince, and start a new life. When Silver-tree finds out, she manages to find the girl when her husband is out hunting, and stick a poison thorn in her finger. Gold-tree falls into a death-like state. Her husband puts her in a glass coffin and grieves, and after a while, marries again. The new wife one day finds the coffin, and revives Gold-tree (so that she can see her husband happy). Not only that, but when Silver-tree shows up again, the second wife saves Gold-tree once and for all, tricking the mother into drinking her own poison. After that, the prince and his two wives live happily ever after. Polygamy? Yes. But also, a whole lot of interaction between the two wives, and one woman rescuing another. Also, Kaleidoscope's Cassie Cushing tells a very pretty version of this. A father has a very strong-willed daughter. When three men court her at the same time, she decides she wants to marry all three of them. Her father tries to talk her out of it, but she insists, to he decides to send them on a quest, and see which one brings the best gift. One guy buys a magic mirror; one buys a magic ship, and the third a magic ointment that can revive the dead. The first looks into the mirror, and sees that the girl is dead. The second flies them all home on his ship, and the last uses the ointment to revive the girl. Getting out of her coffin, the girl tells her father "See? I need all three of them." And they live happily ever after. A Magic Flight type tale, in which a boy, unwittingly promised before his birth, goes to serve on an island in the house of Tengöri Hereberi Atyámuram (a god-like figure, named after the first line of the Cuman translation of the Lord's Prayer). He falls in love with the lord's daughter, who helps him complete various tasks, and then they run away together. Her mother, however, curses them so that the young man forgets his love the moment he goes to visit his parents, and never returns to her in their home. Eventually, she finds him and reminds him, breaking the spell, but by that time, he is married again. 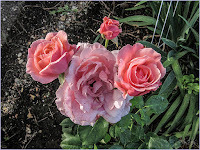 I am including this story on this list because of what happens next: The husband says he loves them both, the two women get together, spend some time talking, and eventually return, telling him that they are satisfied with this arrangement. And they all live happily ever after. A boy sees a dream, but refuses to tell anyone what it was about. His mother and father get angry and chase him away. The kings hires him, but soon becomes curious about the mysterious dream; when the young man refuses to tell, the king orders him to be executed. The princess, however, rescues the young man in secret, and they spend time eating and studying together every day. They fall in love, obviously. Eventually Kirali (a Turkish ruler or hero) starts sending tests to the king - which the young dreamer solves in secret, and the princess conveys to her father. Eventually the truth comes out, and the young man is invited to Kirali's court - where he finds out that Kirali's daughter is a witch, and she has been making up tests to lure him away, because she is in love with him, and jealous of the princess. When our hero finds this out, he suggests that he can marry both of them, and the women agree (no need for jealousy). One day, as they are all sitting together, the witch with a baby girl in her arms and the princess pregnant, the young man finally reveals his dream: He saw himself surrounded by three roses, "one open, one about to open, and one still a bud." It was his picture of perfect happiness. In this stunning folktale from India, a bear who is "a demon and a magician" lives in an underground garden of trees that grow blood fruit. His daughter is human, and he makes the girl lure men into the cave every day, so that he can use their blood to water the trees. One day the girl comes across a prince in the jungle and lures him in - but they also fall in love. It turns out he has been on a mission, looking for the blood fruits to cure a sick princess he is also in love with. The girl helps the prince kill the demon bear and gather the fruit. The prince ends up marrying both her and the (cured) princess. Representation matters, people. There is more than one kind of happily ever after. 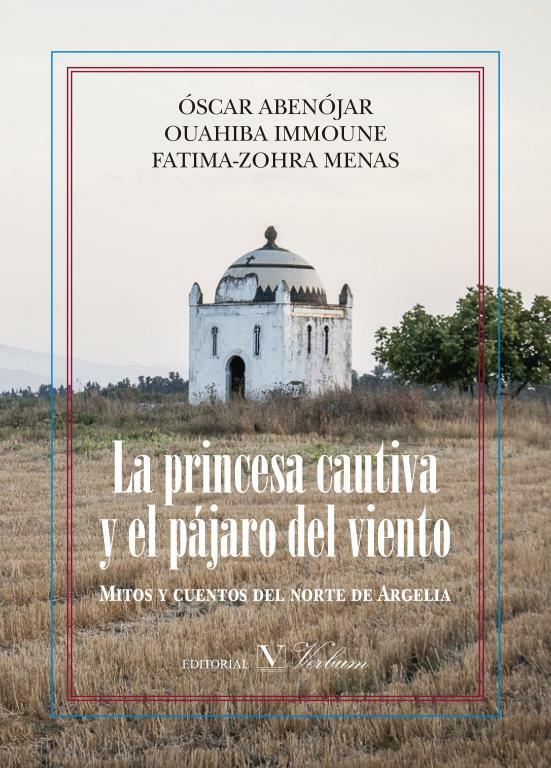 I spent a lot of time looking for a collection of Algerian folktales, and finally found one in Spanish. 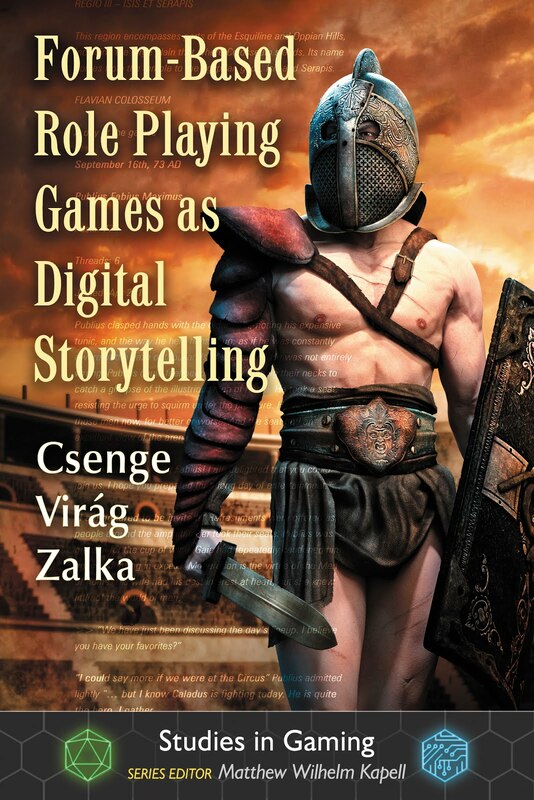 Which makes me sad because I would love to recommend this book to my storyteller friends who only read English and/or Hungarian. It is an excellent, well edited collection. 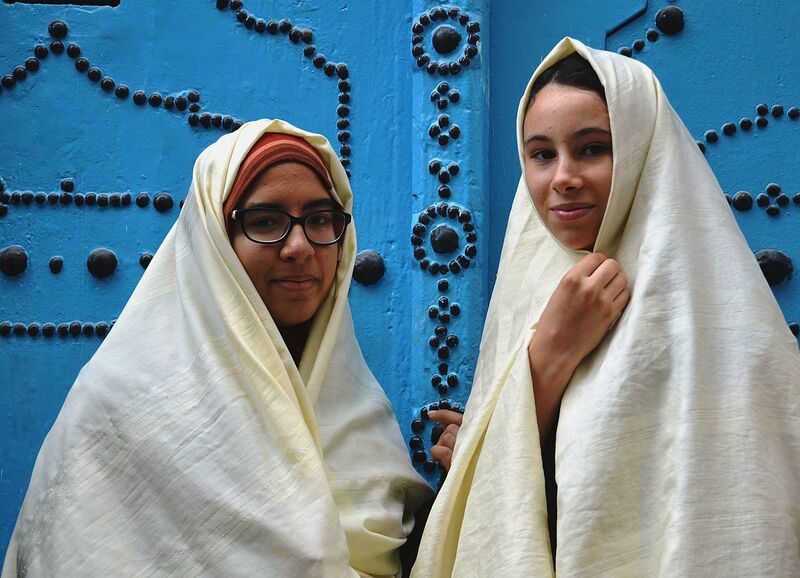 It contains 48 stories collected from the oral tradition in Northern Algeria, proving that folktales are alive well into the 21st century. 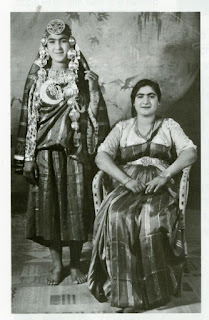 Some have been translated from the Arabic, while many from Kabyle. There is an abundance of extra information provided about the stories, as well as the storytelling tradition - which seems to be local, domestic, and mostly nocturnal. 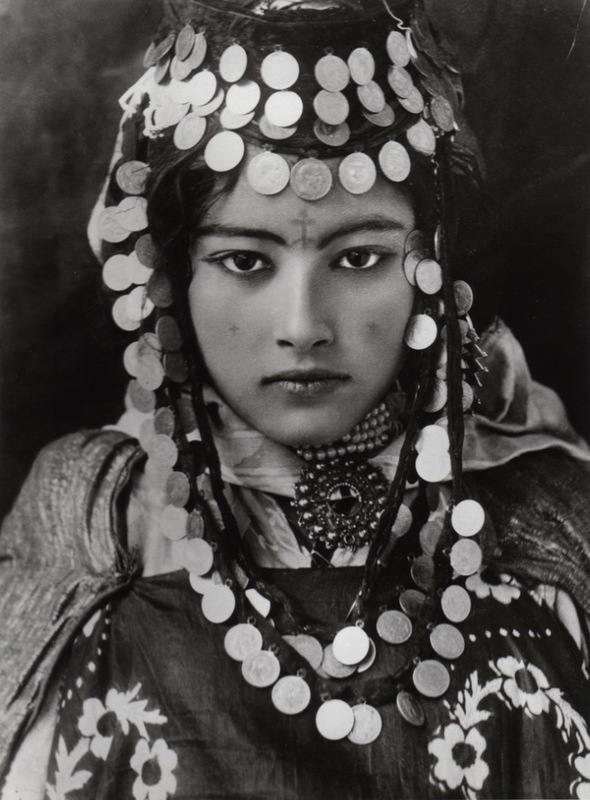 Apparently, Berber grandmothers would not tell stories in daylight, believing a close relative would die or their hair would fall out if they did. The stories included in the book are fascinating, and there is a long opening study that explores their origins and connections. Many of them have not been recorded yet outside of Europe. 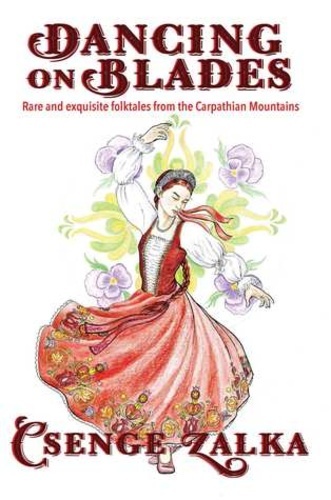 The authors note that Kabyle folktales have stronger European connections than Middle Eastern or African, and, contrary to previous belief, they do not originate from the Middle Eastern Arabic story tradition (in other words, Berber folktales are not Arab folktales). There are some stories that don't have parallels at all, and there was at least one that seemed to be so old that it only survived in distant, isolated cultures in Djibouti and India. 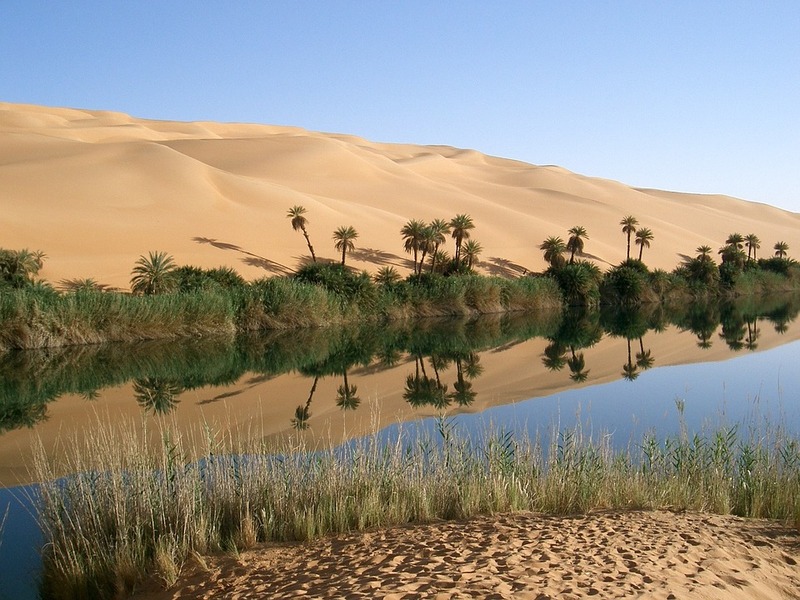 Berber folktales therefore are not a melting pot of African, Arab, and European traditions, but rather an archaic island tradition with various influences. The book contains folktales, wonder tales, pre-Islamic myths, and even anecdotes to show off the richness of this tradition. I especially loved the title story about The captive princess and the Wind Bird. It was one of the longest and most complex stories in the book. It started with a princess locked in a tower who was visited every day by the bird, until she decided to follow it. To do so, she asked her father if she could leave the tower... and he said yes. Huh. She followed the bird around half the world, ended up being a servant in its mother's house, killed all evil members of the family, and flew away happily on the bird's back. Another exciting but darker story was about A girl who rescued her brother from beasts. The mother and children ran away from the father; the mother was killed in the woods by beast, but the daughter rescued her baby brother. he kid returned the favor by exiling her from his house (by his wife's orders) later on. In the end, the girl found a husband and started her own happy family, and the earth swallowed up the evil sister-in-law. A similar dark fate befell The man who was eaten by an ogre (sadly, every supernatural being was translated to Spanish as "ogre", in most cases they were originally ghouls). He didn't listen to his wife, who suspected the stray goat he brought was was a monster in disguise. The clever woman got away with her child, and the foolish husband was consumed. I was happy to find a version of 'the treasures of the giant' tale type in The seven brothers and the ogre. 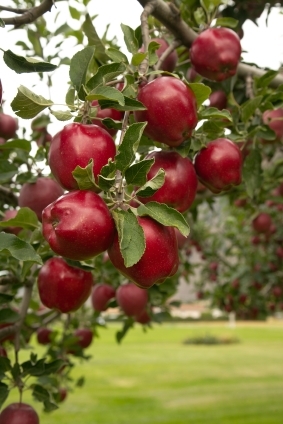 This is the tale type where one clever sibling (in this case, literally half a boy, born from half an apple) saves the others from a man-eating monster, and then keeps sneaking back to steal the treasures of said monster. Another favorite tale type of mine, that of the 'talented brothers' also made an appearance - three brothers with extraordinary powers rescued their sister from an ogre. There was, of course, a 'magic flight' story, titled The daughter of the ogre and the son of the sultan, which was long and elaborate, featuring various adventures after the actual flight. At one point, the girl killed and skinned a servant girl, and took her place, wearing her skin as disguise... (many stories had gruesome details like this, by the way). 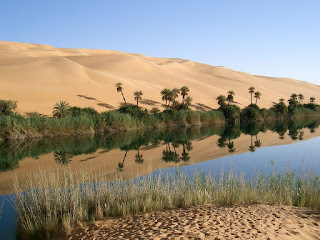 There were several familiar stories among the wisdom tales and jokes, such as The lost camel (in which three clever men used their detective talents in finding a lost camel), a Road shortened by a story, and The miller, his son, and the donkey. 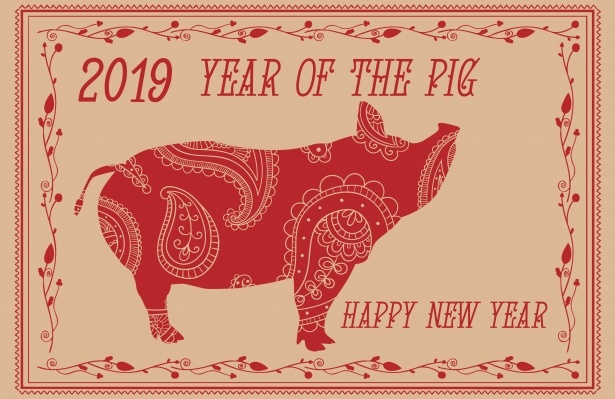 With the lunar new year just behind us (February 5th), we are now, according to the Chinese zodiac, in the year of the (Earth) Pig. "Egyszer volt, hol nem volt, még az Óperenciás-tengeren is túl, még az Üveghegyen is túl, ott, ahol a kurta farkú kismalac túr..."
"Once upon a time, far away, across the Óperenciás Sea, beyond the Glass Mountain, in the place where the curly-tailed piglet roots around..."
No one is exactly sure why the curly-tailed pig is such an important element, next to the mythical seas and mountains. My guess is because it rhymes. In at least one case I know, the formula goes "... in the place where they put golden shoes on the pig and floated it down the river", which is also quite the vivid image. A poor, bald-headed young orphan raises a pig in his hut. 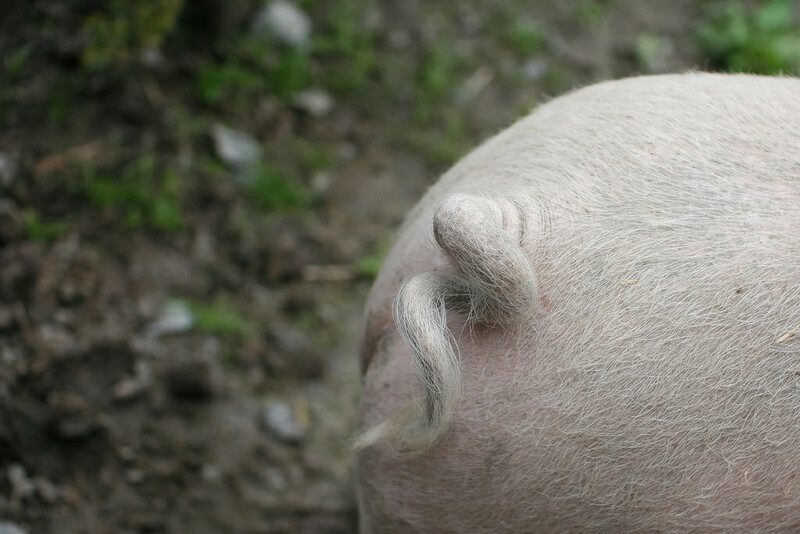 The pig grows large, but its skin shrivels like raisins. One day, a Muslim treasure-hunter offers to buy it for a large sum of money; Baldhead demands to know why the wrinkly pig is so valuable. 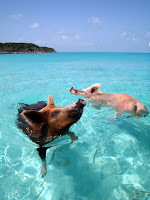 He finds out that his pet is a so-called rare Ocean-Warming Pig: If you boil it in a cauldron on the beach, the sea will boil with it, and when all the water from the cauldron evaporates, so does the sea, leaving all its treasures uncovered. Baldhead immediately puts theory to practice; the sea boils down to such low levels that the Dragon King sends panicked messengers, asking him to stop. Baldhead gets to visit the Dragon King's underwater palace, and eventually wins the youngest dragon princess' hand. In this popular Hungarian folktale type, a poor couple wishes for a child. One day, a piglet is born to them (or, in some versions, comes down the chimney). They raise the pig as their own, and when she is old enough, send her to school. 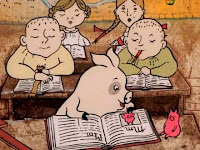 The piglet (occasionally named Malac Julcsa, Pig Julie, or Malacka Zsuzsi, Piglet Susie) proves to be a good student, and goes out to pick berries in the forest with her classmates after school. When no one is looking, she sheds the pig skin, and turns into a beautiful girl. Eventually, a guy sees her do this, falls in love with her, and marries her, despite the scandal and mockery of the entire town. On the wedding day, the pig turns into a beautiful girl forever. Another, related version is very similar to my favorite Cinderella type (read about it here). In this one, instead of berry-picking, the pig makes her way into the king's garden to steal golden plums (first, with the help of a woodpecker, and second, with the help of a mole-rat). The prince spies a pretty girl climbing the golden plum tree, and tries three days in a row to catch her (the third day, she literally runs out of the garden between his legs). Eventually, he tracks the fleeing pig to her house, where he proposes to court her, they fall in love, and the rest is history. In this genius folktale from Sardinia, St. Anthony wows to steal fire from Hell, to keep people warm. He goes downstairs with his trusty pig companion, and asks to be let in. He is refused, but as he is talking through the cracked door with the devils, the pig sneaks in, and... well, raises hell inside Hell. It roots around, chews things, knocks thing over, pees on things... eventually, St. Anthony is let in to get the pig out. He takes with him a fennel staff, and when the staff touches the flames of Hell, its spongy inside starts to burn. Pig in one hand and staff in the other, Anthony says goodbye to Hell, and brings the stolen fire to our world. In this favorite Bluebeard variant of mine, a girl and her two sisters are kidnapped by a pig, who turns out to be a handsome but evil serial wife murderer. The youngest girl is smart enough to rescue her two sisters from captivity, and finally trick the pig-man into letting her go as well. This tale type exists with a lot of different villains (devil-man, dragon-man, male witch, etc. ), but always has a smart female lead. There are several variants of the Beauty and the Beast folktale type where the Beast is a pig. 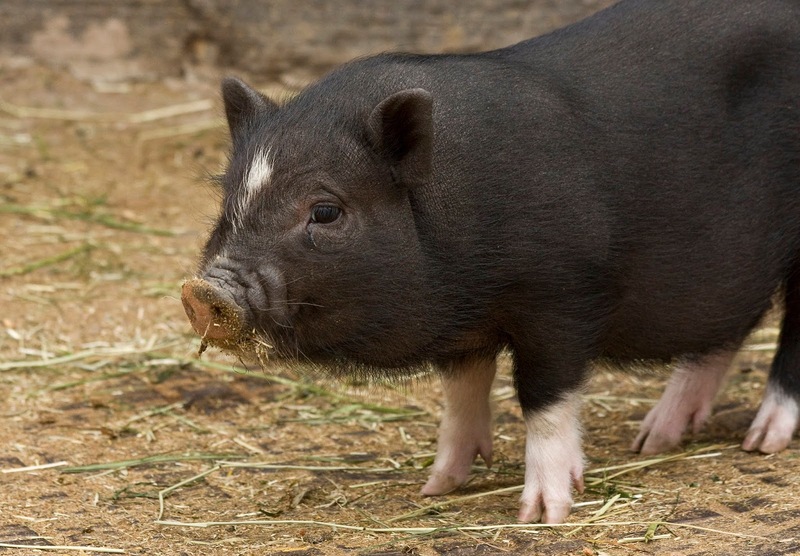 In some Hungarian versions I have blogged about before, he can even be extra special, such as a magical gardener pig, or a green pig. 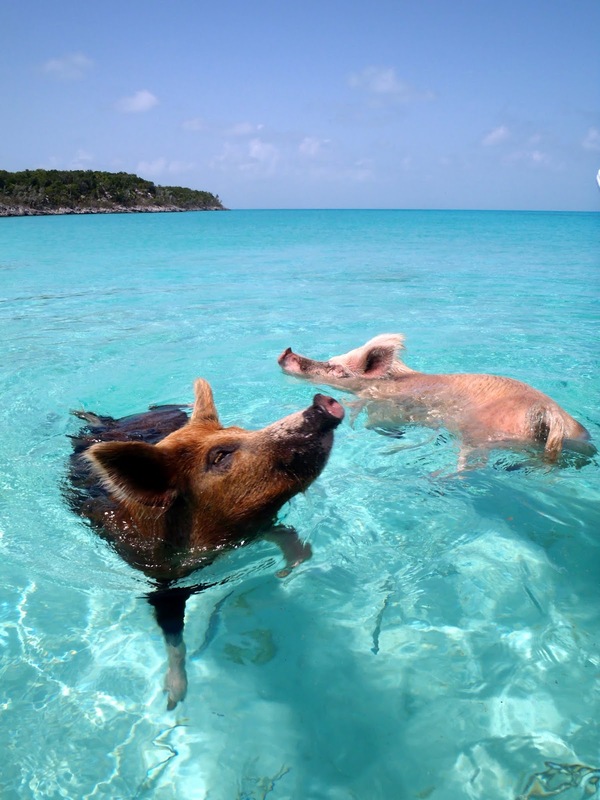 I have blogged about this charming story, and the "extreme pig herding" motif before here. 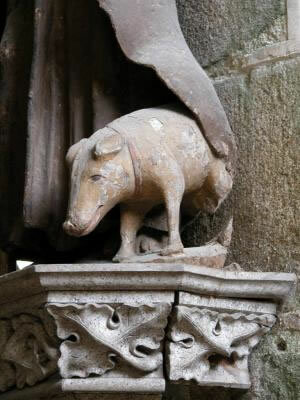 A young swineherd has to keep the king's pigs together, while they repeatedly try to get away by burrowing into the ground, jumping into the river, or flying up into the air like balloons. Each time, they are retrieved by helpful animal companions. Yes, this is also Hungarian folktale. 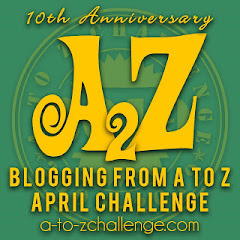 I blogged about it here. 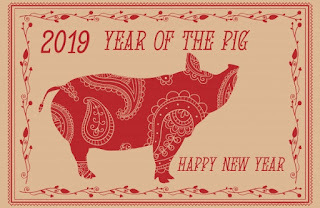 Happy Year of the Pig, everyone! Richard Hamilton collected thirty-seven folktales between 2006 and 2009 on the Jemaa el Fna, the famous market of Marrakesh, where the five tellers of these tales were among the last who still make (or used to make) a living from telling stories to a live audience. The translations are not verbatim, and Hamilton admits to occasionally embellishing the language of the stories, but they are close to the originals. 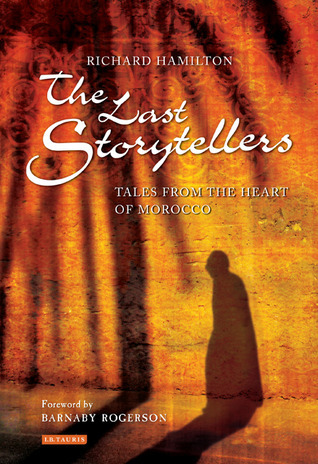 This is not a folklore publication by a long shot, so it lacks notes, but it is a very enjoyable read, and has a long and detailed Introduction to the circumstances of collection, Moroccan storytelling tradition, and the tellers themselves. 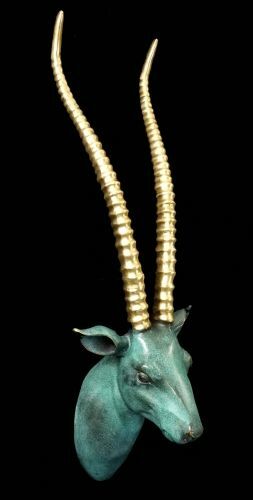 I have always loved the Mute Princess story, and this book has a fascinating version of it, titled The gazelle with the golden horns. In it, the Sultan's third son, born from a black slave mother, succeeds in making the princess talk. He spends his life partying until one day four fairies attend his party and help him with a story; the guy cleans up, wins the princess, and becomes a great ruler. 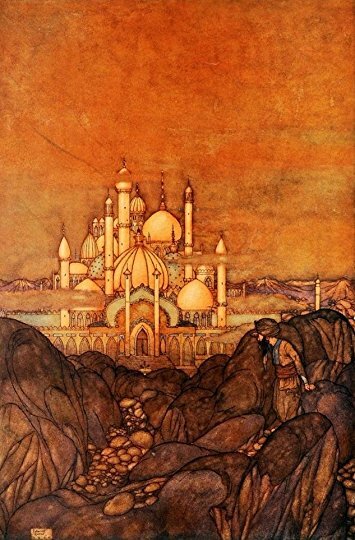 Another beautiful story also had a black hero: the tale of El-Ghaliya Bent Mansour started and ended with golden apples, and in-between the hero was helped by djinn, magic horses, fling carpets, and all the trappings of wonder tales to win the hand of a princess who lived underground. Seven coins and a donkey was a fun story about three women who decided to punish a shopkeeper because he hated women and kept yelling after them. They managed to trick him three times so thoroughly that he almost ended up in jail, but they fixed things in the end, and he left Morocco deeply ashamed of himself. Crisis was also solved by women in The nobleman and his three sons, where a villain sold his soul to the Devil to turn handsome, and have the ability to curse the three young man into birds, and take their inheritance. The wife of the youngest son figured out the evil plan, and managed to break the curse. Some women, however, were less likable: The heroine of One hundred and one beheadings killed 101 of her suitors in duel, before she took a liking to one. Since we are now in Africa, wisdom tales abounded in this book. In The trials of Nouraddine, a wise sultan figured out a way to make a corrupt judge return money a poor man left in his care. Basically, the sultan gave a whole lot more money to the judge to keep, so the next time Nouraddine made a fuss about his small sum, the judge gave it back out of annoyance. And then was jailed by the sultan in the treasure room. I was very happy to find a parallel to my favorite Sicilian Cinderella story, in which the girl sneaks into the king's garden to steal things. However, this one took an unexpected turn when she won the sultan's heart by revealing hos his wife had been cheating on him with a slave. Nour and the Sultan did marry in the end. 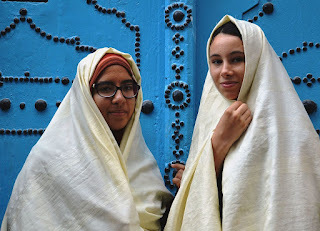 Another, more traditional Cinderella story ended on a dark note when Aicha Rmada ordered her evil stepsister to be chopped into pieces, and fed to the stepmother. The story of the Red Lantern was a classic tale in which a poor man wandered into a kingdom where glass was unknown; he sold his one lantern for a high price and return home rich. His greedy brother set out with a watch to the same kingdom, and his rare gift was rewarded with the king's most prozed possession - the red lantern. 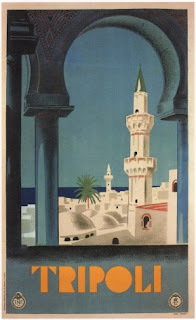 There was also a Moroccan version of The Hunchback and the Fairies; here, instead of the days of the week, the good man sang good ingredients for the couscous made by the djinn, and the bad man sang about bad ones. Many of the wisdom tales were familiar. The king and his minister learned that there is something good in every bad thing; in The fakir and the frog, good advice saved a person's life; in The land and the treasure, a man made his lazy sons dig up the garden by hinting that he'd buried treasure in it. In The woman and the devil, a woman proved that she is smarter and more wicked than the Devil, and even trapped him in the end. I have read versions of The imam and the wager from Bosnia and Ethiopia before; it's the story where someone wagers that they would survive a cold night on top of a tower, but then they also have to prove that distant fire did not warm them. The laundryman and the fountain was similar to Greek tales where someone finds the fountain of their luck, and see it is barely dripping. The tale of the wife who is locked in, but still manages to escape with the neighbor (under The eyes of Ben'Adi) was familiar from the USA, among other places. I have also encountered The shoemaker and the bird before; it's the tale type where one has to eat a certain part of a magic bird to gain magical powers of wealth. A related tale type about a princess cheating a hero out of all his magical possessions (Fortunatus type) was represented by The sultan's daughter and the leper. In a variant of Grimm's Queen Bee, The traveler and the pasha's daughter, the hero, after finally winning the princess with the help of grateful animals, insisted on paying reparations to the families of the suitors who died before him.